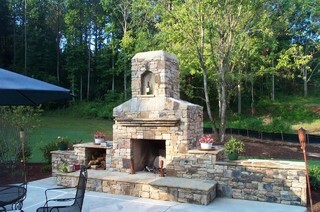 At Affordable Hardscapes of Virginia we’ll give you the attention and personal service you deserve. We treat each and every project as if we were building for our own home. Taking personal ownership in our work has helped us become the preeminent experts in Hardscape Construction. Hardscapes are the foundation of many outdoor designs, they harness the natural beauty of the outdoors to create a virtually maintenance free solution to meet your individual needs. We use a combination of time tested construction processes and modern technology to provide our customers with a final product that you will enjoy for years to come. We take pride in designing, installing, and repairing outdoor living spaces that combine beauty, comfort and low maintenance. Hardscape additions to your property are a great investment in your homes value, as well as your quality of life. With the many warm months enjoyed in Hampton Roads; Virginia Beach, Chesapeake, Norfolk, Suffolk, Portsmouth and the surrounding areas. You should consider the many affordable options to create a place to enjoy a mini-vacation every time you come home. Most of our hardscape projects can be installed year round. This season we are busy designing and constructing new outdoor living areas. Popular additions have been; Firepits, Outdoor Fireplaces and Kitchens. We repair Paver Patios, Walkways, Driveways, Porches, Pool Areas, and other paver applications. "Affordable Hardscapes did such a fantastic job on my pool deck project!! They installed a beautiful walkway leading to an amazing paver pool deck. The work these guys did has my family, neighbors, friends and of course myself very impressed. I would recommend this company to anyone in the VA Beach area looking for affordable and professional hardscape services. I know I will certainly be calling them back to do my driveway in the Spring."